Sickness absence rates in the UK are the lowest on record, in fact we trail into work even when we are sick. Hazards finds that instead of hounding the sick back to work, it would be more productive all round if employers introduced supportive sickness absence policies. In sickness and in work: Why is the employers' body CBI calling for a clampdown on "malingerers" and why is a visit to the doctor portrayed as shirking? Hazards looks at a sick trend that is bad for workers and bad for productivity. In sickness and in work special report and Hazards 85 feature [pdf format].  Rehabilitation: Hazards guide to rehabilitation, job retention and return to work.  Policy pointers: A quick union guide to decent sickness absence policy.  Pre employment screening: Hazards checklist for trade unions on pre employment screeening.  TUC workSMART: Sickness absence guide.  Trouble at Work Sickness absence guide.  European Foundation: Absenteeism webpage, including information on sickness absence and presenteeism.  An unhealthy attitude: UNISON leaflet for members and potential members gives advice on sickness absence control measures. Hospital workers in Liverpool are calling for public support in their campaign against a ‘callous’ sick pay policy, which is forcing them to work while seriously ill or face financial hardship. Unite says health workers, porters and caterers employed by ISS at the Royal Liverpool and Broadgreen hospitals have seen their sick pay massively reduced to just 12 days a year since being transferred over to the private company from the NHS. Seven in ten (69 per cent) UK private sector employees – equivalent to 18 million workers nationally – have gone to work unwell when they should have taken the day off, an insurance industry study had found. Aviva’s Working Lives report found that by contrast, less than a quarter (23 per cent) say they have taken a day off work sick when they were not actually unwell. A man died on his way home from a benefits appointment six months after being declared ‘fit to work’, his family have said. Lawrence Bond, 56, suffered a fatal heart attack on 12 January after leaving Kentish Town Jobcentre. Camden New Journal. The Independent. Risks 785. Nearly two-thirds (65 per cent) of the union reps responding to the TUC’s 2016 Equality Audit said that disability-related sickness absence was the number one equality issue they dealt with at work. Reps told the TUC that disabled people can have higher or more frequent rates of sickness absence, but that workplace policies were not adjusted to account for this. A longstanding PCS activist who was fired by the Department for Work and Pensions (DWP) in February 2013 ostensibly on the grounds of his sickness record, has returned to work following his reinstatement. A tribunal found that Lee Rock had been unfairly dismissed and upheld, in part, the claim of disability discrimination. PCS news release. Risks 768. Hazards news, 17 September 2016. Staff at Luton and Dunstable Hospital Trust rallied outside their workplace last week against proposed changes to their sick leave policy. The union members say that while the trust has one of the best sick leave records in the region, employers want to cut the number of times workers can be off sick before they are brought into a sickness capability meeting. UNISON news release. Luton on Sunday. Risks 764. Weymouth bus drivers suffering from cancer and serious heart conditions have been told they will have their sick pay docked on strike days as long as a dispute over ‘poverty pay’ continues. Unite, which represents the more than 110 drivers based at Weymouth and Bridport and employed by First Hampshire & Dorset Ltd, said the decision was illegal and counter to ‘humanity and common decency’. Birmingham City Council has confirmed that plans to cut back the sick pay rights of staff have been removed from proposed changes to their terms and conditions. The changes challenged by the union GMB included a proposal to withdraw from a nationally agreed sickness scheme, a move that would have meant workers at the council and in schools would lose pay for the first three days of any period of sickness and would have their sick pay entitlement reduced by half. GMB news release. Risks 753. GMB news release. Risks 752. PCS news release and performance management guidance. CWU news release. Risks 749. Conservative proposals to cut disability benefit by £30 a week have been attacked by the government's equalities watchdog. The Equalities and Human Rights Commission (EHCR) said the cuts to the Employment and Support Allowance (ESA) will “exacerbate, rather than reduce, existing inequalities”, in addition to disproportionately affecting disabled people. Civil service unions have defended in the appeal court a 2015 High Court ruling that said the Department for Transport (DfT) broke employees’ contracts by introducing new, more punitive, sickness absence policies without reaching agreement with unions. Prospect, the FDA and PCS were at the Court of Appeal on 16 February to defend the judgment, which held that the sickness absence policies applied to employees in the central Department for Transport and its agencies are contractual. Prospect news release. Risks 740. Britain: Terminally ill workers can be sacked, OK? Terminally ill workers need greater protection from heartless employers who are utilising a loophole in the law to dismiss the dying due to their illness, according to the communications union CWU. Delegates to the union’s annual conference heard the loophole stems from the fact that the terminally ill are not classified as having a 'Protected Characteristic' as defined by the Equality Act. CWU news release. Risks 701. The Department for Transport (DfT) broke employees’ contracts by introducing new, more punitive, sickness absence policies without reaching agreement with unions, the High Court has ruled. Prospect, the FDA and PCS brought breach of contract claims against the DfT on behalf of members in DfT’s central department and its agencies in November 2014. Employers say the number of days taken as sick leave has fallen from an average of 7.6 days last year to 6.6 days this year. The survey report, from the Chartered Institute of Personnel and Development (CIPD), indicated that the fall in days off taken as sick did not mean workers were fitter now but points to an increase in presenteeism, with more people attending work while sick. Staff are being “victimised and terrorised” by management using draconian sickness policies, public sector workers have said. Far too many workplaces are applying the same attendance management policies to all staff regardless of whether or not they have a disability, UNISON’s conference heard. Delays to Personal Independence Payments (PIP) and the rising cost of implementing the welfare cap provide further evidence the government’s welfare reforms are ‘unravelling’, the TUC has said. The union body was commenting after the implementation of the new benefit for people with disabilities was described as a “fiasco” by MPs and leaked government memos revealed concerns in Whitehall that costs were out of control. The TUC has said latest figures from a business group showing workplace sickness absence is at a record low disproves the myth that Britain has a ‘sickie culture’. A survey of 330 firms by the manufacturers’ group EEF showed overall levels of absence reached a record low of 2.1 per cent, equal to 4.9 days per worker per year. Jobcentre workers are facing “intolerable” political pressure including the prospect of disciplinary action if they don’t reduce the number of benefit claimants, their union PCS has said. The union was speaking out after the House of Commons work and pensions select committee urged the government to provide incentives for Jobcentre Plus (JCP) to get people into work, not just off benefits. The ambulance service in England could face strike action unless dramatic sick pay cuts for staff are reversed, the union GMB has warned. The union’s Central Executive Council (CEC) authorised an official strike ballot, noting the decision moves the ambulance service a step closer to a national dispute. Ambulance crews won’t put up with a “draconian” cut to their sick pay which could see them being forced to work while ill, their unions have said. GMB, Unite and UNISON announced they are in dispute with the ambulance service in England and said their members were prepared to take industrial action. The proportion of UK companies reporting high rates of staff sickness has fallen to less than half the rate in Germany and France in five years, according to new research. Dr Wen Wang, of the University of Wolverhampton Business School, found that in 2004 around 17 per cent of UK firms studied said they had high rates of staff sickness, which fell to 9 per cent by 2009. NHS Employers need to seriously consider the consequences of implementing cuts that could put the public at risk, unions have said. GMB, UNISON and Unite members working in England’s ambulance services have voted to reject proposals to apply up to 25 per cent deductions to sick pay. A tracking device was fitted secretly to a mum’s car by private investigators brought in by West Yorkshire Fire & Rescue Service to discover whether she was moonlighting while on sick leave from her job as a 999 call handler. FBU member Anthea Orchard, 35, said she and her family were horrified when she discovered the device. The Confederation of British Industry (CBI) had found workplace sickness absence is at a new record low, but has let itself down by regurgitating ‘sickie’ and other myths, the TUC has said. The employer lobby group CBI/Pfizer Absence and Workplace Health Survey found the average absence rate was 5.3 days in 2012, down from 6.5 days in 2010. The ‘fit note’ system introduced by the government in a bid to reduce sickness absence isn’t working, the manufacturing sector lobby group EEF has said. It says its survey found employers have lost faith that the programme is getting people back to work. Employees are under pressure not to take sick leave entitlements when they're ill, Labour MPs have warned. They say job insecurity has left the UK workforce scared to take time off. Too many NHS trusts in England are failing to implement key recommendations made in 2009 to reduce staff sickness absence, physios’ union CSP has said. Documents obtained by CSP under freedom of information (FoI) laws show that many trusts have failed to act on key recommendations in the Boorman Review, a landmark 2009 report into the health of the NHS workforce. Agency workers are set to have better anti-discrimination rights after an Employment Tribunal awarded an agency worker who went sick a £35,892.08 payout for disability discrimination and unfair dismissal. The tribunal case, funded by the Equality and Human Rights Commission, heard that agency worker Corinda Pegg had been dismissed after 44 weeks service with Camden Council due to absences caused by depression. Construction union UCATT has welcomed Labour Party plans to prevent the exploitation of migrant workers. The pledge to extend employment protection to cover more vulnerable workers came in a party political broadcast by Labour leader Ed Miliband last week and in a 7 March speech from shadow home secretary Yvette Cooper. The government has announced a series of measures to address what it describes as the ‘burden’ of sickness absence on businesses, taxpayers and people who “get trapped on benefits”. The response to a sickness absence review authored by former top business lobbyist David Frost and government workplace health czar Dame Carol Black gives top billing to the creation of a new independent assessment and advisory service. The government’s sickness absence review would have worked better if the focus had been less on getting the sick back to work and more on preventing ill-health in the first place, workplace safety campaigners have said. Responding to government initiatives on sickness absence announced last week, the Hazards Campaign said two major conceptual flaws undermine the strategy: That Britain has a ‘sicknote culture’ and that any work is good for you. A fall in absence levels could be masking deeper problems in the workplace, as workers fearing for their job take their sickness to work, a new report suggests. The average level of employee absence fell by almost a day compared with last year, from 7.7 days to 6.8 per employee per year, according to this year’s Chartered Institute of Personnel and Development (CIPD)/Simplyhealth Absence Management survey. Transport union Unite is balloting 68 drivers operating trains on Eurotunnel for strike action over the sacking of a driver facing a cancer diagnosis. On 13 April, Ray Field - who for 15 years had been a Unite union representative at Eurotunnel - was diagnosed with suspected skin cancer after a GP noticed lesions on his skin. A landmark ruling involving NHS Leeds has established an employee is still entitled to paid annual holidays, even if they have been off sick for the whole of that year. The Court of Appeal ruled that part-time, 20 hour-a-week NHS Leeds clerical worker Janet Larner was entitled to her paid leave for the year 2009/10 when she was off sick for the whole year. Workers who fall sick during their annual leave are entitled to take corresponding paid leave at a later date, the European Union’s top court has ruled. And the ruling could be good news for businesses too, with a forthcoming US study linking paid sick leave to a dramatic reduction in workplace injuries and related costs. The TUC is urging union reps to make sure their employers are aware of changes to the sick note procedure. The current sick note, also called the ‘fit note’, Med3 and medical statement, is to be computer generated from this month, although some GP surgeries will not be using it until later this year or even early in 2013. Workplace sickness levels have fallen to a record low, official figures show, but the TUC and two prominent employment thinktanks believe this points to a worrying epidemic of ‘presenteeism’ rather than an improvement in the health of the working population. A US study has concluded that extending paid sick leave could save the country $1 billion in medical costs annually. The Institute for Women's Policy Research (IWPR) report found paid sick leave is good for the economy, employers and the country. Over 50 charities have condemned the government for "contributing to hatred towards disabled people" by portraying them as work-shy scroungers. The Disability Benefits Consortium said the government is using “dangerously misleading” statistics to fuel claims that high numbers of benefits claimants are faking. Reports that the vast majority of disabled claimants are fit for work should not be trusted, the union representing workers in the benefits system has said. PCS, which has thousands of members in the Department for Work and Pensions (DWP), said the tests for claimants fail to address many serious health issues. A London refuse worker was fired for “excessive sick leave” just two weeks before he was due to have brain surgery. GMB member Bradley Reay, 41, was fired by Islington council contractor Enterprise. Presenteeism, where the working wounded labour on despite being ill, costs twice as much as sickness related absence from work, a German study has found. Researchers from the Felix Burda Foundation also estimated the annual cost to the German economy of worker sickness at 225 billion Euro – 9 per cent of the country’s GDP. People with serious illnesses are being found “fit to work” under new sickness benefits tests, disability charities have warned. The MS Society, Parkinson's UK, National Aids Trust, Arthritis Care, the Forward-ME group and Crohn's and Colitis UK are calling for changes to make the test “fairer” for people with illnesses where symptoms vary over time. Sickness absence in 2010 remained close to the previous year’s record low, employers’ organisation CBI has found. The CBI/Pfizer Absence and Workplace Health Survey reports there were 190 million working days to sickness absence last year, with each employee taking an average of 6.5 days off sick. Threequarters of sickness benefit claimants are found fit to work or abandon their claims before completing their medical assessment, latest figures published by the Department for Work and Pensions (DWP) have revealed. However, initial assessments of people's fitness to return to the workplace have been overturned in almost four in 10 cases in which individuals appealed. Unions and disability groups have warned a nationwide crackdown on incapacity benefit claimants will leave vulnerable people in danger. The one-and-a-half million people who claim incapacity benefit started to receive letters this week requiring them to be tested on their ability to work. A £340,000 compensation payout to a roofer severely injured in a workplace fall will fund an intensive rehabilitation and physiotherapy programme. Timothy Kirk, 42, fell 45 feet through a skylight while at work. He was knocked unconscious and left in a coma for 11 days after the incident in October 2000, suffering a fractured pelvis, fractured femur and numerous head and facial injuries and having to undergo a tracheotomy to aid his breathing, as well as three operations on his stomach to reduce internal injuries. The system of GP-issued “fit notes” introduced on 6 April is not working, a survey had found. The fourth annual ‘Health of the workplace’ report from Aviva, which surveyed GPs, employers and workers, found almost two-thirds (65 per cent) of the 200 GPs questioned felt “ill-equipped” to provide fit notes, up 1 per cent on last year’s survey figure, prior to the introduction of fit notes. Over threequarters of people applying for the new Employment and Support Allowance programme (ESA) are being found fit for work after undergoing the Work Capability Assessment, or stop their claim before they complete their medical assessment, according to new official statistics. However TUC warned last week that the government was forcing many disabled and sick people on to jobseekers' allowance (JSA) despite evidence they are unfit to work. Sick workers are falling foul of rushed medicals to determine eligibility for benefits, the union Prospect has warned. It says the medical personnel responsible for assessing benefit claimants’ capability to work, on behalf of the Department for Work and Pensions, are not allocated sufficient time to assess complex cases such as those coping with multiple sclerosis or Parkinson’s disease. Staff at Manchester hospitals who take more than an agreed number of days off sick are to lose out on annual pay rises. In a move against which UNISON says it will make a legal challenge, Central Manchester University Hospitals Trust will refuse rises to workers who have taken more than 18 days off sick or had four separate sick absences. A coalition of charities has warned that a controversial health test being pushed by ministers to decide who will get long-term sickness benefits is not working. There is mounting evidence, say the charities, that people with serious illnesses are being judged fit for work when they are not. A controversial new system for assessing whether the sick and disabled are capable of working has seen more than threequarters of benefit claimants either told to get a job or abandoning their claim, Department for Work and Pensions (DWP) figures show. The average UK worker took 6.4 days off through sickness last year, the lowest number since 1987, a survey by employers’ organisation the CBI suggests. This compares with 6.7 days in 2007, the last year surveyed. Workers are more likely to trail into work when sick than to take the day off, new research has shown. The study by The Work Foundation examined why employees attend work when unwell, with the think tank saying it also addresses a gap in UK data on sickness presence. Government claims that there are easy savings to be had from cracking down on sickness absence in the public sector have been challenged by new TUC research showing that these workers are much more likely to turn in even when sick. The revised system for assessing whether or not the sick and disabled are capable of working is flawed and is wrongly finding seriously ill people fit for work, according to Citizens Advice Bureau (CAB) research. Campaign group WakeUpWalmart.com and a coalition of supporters is campaigning against Walmart’s “irresponsible” sick leave policy. Last year Walmart – the world’s largest retailer – was on the end of critical press coverage when it was revealed it gave employees "demerits" that can lead to dismissal when they call in sick. At the same time as the government launched its guidance for employers on the new 'fit note' arrangements, the TUC published advice to unions and workplace representatives on how to prepare for the changes. The guide says the key to ensuring that workers are not forced back to work early, or on reduced pay, is for them to have proper union representation and access to grievance procedures. The new fit note will not give doctors the option to deem a patient “fit for work”, only whether they may be fit for some work, the government has indicated. The final decision will instead be a matter for the employee and the employer under the new system, due to come into force on 6 April. More than two-thirds of injured or sick workers in the US fear employer discipline or even losing their jobs if their injuries are reported, a study from the official Government Accountability Office (GAO) has found. The GAO survey of more than 1,000 occupational health practitioners found a third of these health professionals reported being pressured by employers to provide insufficient treatments to workers to hide or downplay work-related injuries or illnesses. Supermarket giant Morrisons is holding back cash owed to three former drivers who lost their HGV licences on health grounds. A GMB demonstration outside the company’s Camden store set out to highlight the failure of Morrisons to honour the medical insurance agreement, with shoppers urged to make representations to the store’s manager. Less than 10 per cent of London GPs feel confident that they could operate the new style ‘fit notes’ system the government proposes to introduce in the spring of 2010. Londonwide LMCs, the organisation representing over 6,000 family doctors in the capital, says a “staggering” 96 per cent of GPs have received no training regarding the new ‘fit note’ system and nearly threequarters do not think that the new system will be manageable in terms of both time and resources. Plans to abolish the sick note in favour of the ‘well note’ could force sick and injured people back to work too early, a top employment law firm has warned. Trade union and personal injury specialists Thompsons Solicitors says the government’s proposals, contained in a Department for Work and Pensions consultation on reforming the medical statement, would also fail to cut the cost of sick leave to industry or reduce compensation payments. The government must respond rapidly to a report on the health of the NHS workforce, health service union UNISON has said. Commenting on the interim findings of the government-commissioned Boorman inquiry, published last week, the union said the report highlighted the need for quality occupational health services available to all NHS staff. The majority of employers say well-being at remains a priority, according to new snapshot research, but they have outstanding concerns about the new fit note. Research undertaken with 50 employers found over half of those surveyed said that well-being was more important to them in the current financial climate, but that there was too little information on next year’s replacement for the sick note. Workers off sick with low back pain who are involved in identifying potential barriers to their return to work get back on the job quicker. Researchers in Canada found this was particularly true for older workers and those who have previously been off sick. Paid sick leave is not the burden claimed by business and does not lead to higher unemployment, a major international review has found. The study by US-based think tank the Center for Economic and Policy Research (CEPR) examined the connection between government-mandated paid sick days and the national rate of unemployment in 22 highly developed countries. Cheltenham Borough Council has lost its High Court case against a former managing director after claiming she withheld a history of depressive illness. Mental health charity Mind said the ruling serves as an important reminder to employers about the importance of providing adequate support to people with mental health problems in the workplace. An ageing workforce and higher rates of illness and disease among employees will pose a serious threat to British business by 2030, a report has warned. Private healthcare company Bupa estimates the number of workers with chronic conditions will rise by at least 7 per cent to more than four million. Firefighters’ union FBU has welcomed a landmark legal win in its fight over pensions and jobs for injured and sick firefighters. A judicial review at the Court of Appeal this week upheld a legal challenge by three London firefighters who had their ill-health and injury pensions removed under changes to the service's pension scheme. Health service unions and employers have rejected a “dinosaur” think-tank that claimed money was being wasted on NHS sick pay. Right-wing policy institute Reform claimed that taxpayers’ money was being squandered because health staff take an average of 12 days off sick a year, compared to workers in the private sector only taking 7.2. A train driver who is also a prominent activist in his union has won the first round of his battle to reverse his dismissal. RMT union rep Derrick Marr was fired by train-operating company National Express East Anglia, ostensibly on health grounds but the union argued he had been victimised for his union activities. A quarter of workers (24 per cent) who thought they were too ill to work at some point in January still turned in, research for the TUC has found. The YouGov poll found a big majority of these struggled in because they did not want to let down their work colleagues. More than four in 10 Britons are worried about taking sick leave because they are afraid it will jeopardise their jobs. The survey by Minster Law Solicitors also found that almost two-third (64 per cent) of people have serious concerns about the unstable job climate and would be prepared to forgo their basic employment rights to avoid risking their job security. Firefighters have taken to the Court of Appeal their challenge to government pension rules that threaten to leave badly injured and disabled firefighters sacked and without a pension. The legal moves started after three disabled London firefighters had their pensions removed by the London Fire Brigade. A union-backed European legal challenge has established employees on long-term sick leave are entitled to take the holiday they accrued when they return to work. The European Court of Justice (ECJ) ruling also says if workers were sacked or left a firm, they must receive holiday pay equivalent to the time they were unable to take while ill.
UK workers are far less likely to take sick leave than their European counterparts, a major survey has found. With sickness absence averaging just 5.5 days per year, UK workers take far less time off than the European average of 7.4 days. Teaching union the Educational Institute of Scotland (EIS) has challenged Scotland's local authorities to improve staff wellbeing and occupational health policies in order to reduce sickness and stress-related ill-health. Telling the unemployed they have to take jobs that don’t exist and handing over control of the system to private companies looking to make a profit are both big mistakes, unions have said. The welfare proposals are closely linked to the government’s health and work agenda, which aims to move sick and disabled workers off benefits and into the workforce. The TUC has said the government should provide support for workers losing their jobs instead of treating all claimants like would-be scroungers. British Telecom workers have been penalised for going sick and discouraged from reporting accidents as a result of the company’s “crude” approach to productivity assessment, the union CWU has said. Scores of CWU members gathered outside BT offices in the centre of Coventry to protest at a raft of issues relating to management style and performance management. Customer services workers, such as call centre operators, are more likely to take days off sick than any other occupation, according to official figures. Almost 5 per cent of employees in customer services questioned during the 12 months to the beginning of June had taken at least one day off in the week before they were surveyed. People who have long spells of sick leave are at far greater risk of an early death than healthier employees, researchers have found. The study of absence records for 6,478 British civil servants between 1985 and 1988, a part of the long running ‘Whitehall II’ research programme, showed that people who had one or more medically certified absence in three years had a 66 per cent increased risk of premature death compared to those with no such absence. Nearly threequarters (72 per cent) of UK employees go to work despite feeling so ill they could legitimately stay at home, a survey has revealed. The poll of 2,000 workers by medical insurance provider Axa PPP healthcare indicated that reasons for this 'presenteeism' was people saying they didn't want to let down their colleagues, too much work and fear of losing their job. The TUC has published an online ‘trade union negotiator's guide to the law and good practice’ on sickness absence and disability discrimination. It says ignorance of the detail of the Disability Discrimination Act 1995 (DDA) remains widespread, adding that unions have reported that employers are continuing to get rid of disabled workers by using their sickness absence, capability or other procedures, without taking due account of the disability. Workers at Coventry City Council are scared to call in sick because of a “draconian” sickness and “health at work” policy, according to a trade union official. UNISON’s Sarah Ferguson, quoted in the Coventry Telegraph, said one union member even cancelled a medical appointment because they were too frightened to take time off to attend. A flagship Royal Mail office is misusing security systems to help track worker attendance in order to dismiss employees and increase profit, the union Unite has charged. The union is angered by statements to the press made by Mike Sibley, head of operations at the company’s Heathrow Worldwide Distribution Centre (HWDC) in Berkshire. Unemployed people will be forced to work for their benefits, as part of welfare reforms unveiled by work and pensions secretary James Purnell. The Welfare Green Paper includes plans to scrap incapacity benefit and make those jobless for more than two years work full-time in the community; critics says the proposals duck the issue of the availability of suitable, decent jobs, instead blaming the victims for their plight. A Scottish roadworker who was fired by a “cavalier” council after taking time off sick after a workplace injury has won an unfair dismissal and disability discrimination claim. GMB member James McGrath, 52, was awarded more than £25,000 compensation by an employment tribunal. The CBI should quit its bellyaching about sickness levels and do something to make work less sickening, the TUC has said. Commenting after the publication of employers’ organisation’s annual absence survey, TUC said the CBI should acknowledge sickness rates are falling and instead of making claims about the cost of “sickies”, should instead encourage employers to address the unhealthy workplaces and work practices that are making workers sick. Trade unions have called for more efforts to ensure sick workers are allowed the time and resources to recuperate properly and for decent job opportunities for those with disabilities. Health secretary Alan Johnson has said he wants to see doctors to shift away from sicknotes and instead to issue “well notes,” setting out what tasks a worker can perform instead of certificates automatically signing them off. The move has led to concern in both trade unions and the medical profession, with doctors’ leaders saying GPs should not be used to “police the system”. Pressure to stagger into work when sick is hurting workers and damaging productivity, commitment levels and motivation, according to research from the Chartered Management Institute (CMI). Its ‘Quality of Working Life’ found 1 in 3 managers believe a culture of not taking time off work for sickness exists in their organisation. Firefighters’ union FBU has warned it could take action as a result of pension scheme changes that have seen injured and sick firefighters pushed out of a job then denied an ill-health pension. It says recent changes to the Firefighters Pension Scheme (FPS) have already seen three firefighters in London lose out, one after developing work-related hearing loss. Employers want their occupational health advisers to be more “business focused” and proactive in managing sickness absence, according to new research for the publication Employment Review. When 57 employers – with a combined workforce of 260,000 employees – were asked about issues that arise when using their organisation's occupational health teams, 26 per cent said occupational health advisers should be more business focused; they said they should avoid one-sided consultations giving only the employee's view. London Underground union RMT has won an agreement that guarantees pension rights of Tube employees forced to leave their job through ill-health. The deal, which involves companies covered by the Transport for London (TfL) Pension Fund, came after RMT members last month voted by a 15-to-1 margin to strike against moves that would have dramatically affected qualification for ill-health pensions. New official guidelines aimed at reducing sick leave in Sweden have come under heavy criticism from a top government psychiatrist. Jörgen Herlofson, who devised the criteria by which burnout is defined by Sweden's National Board of Health and Welfare, said stress-related illnesses were not being taken seriously. Around 100 catering staff at Virgin West Coast’s Manchester Piccadilly depot have mounted a third day of strike action in support of an unfairly sacked colleague. RMT is demanding the re-instatement of Rachel Tombling, who sustained injuries when her head hit a computer screen in an on-board shop when her train experienced rough riding - but was sacked when the company claimed she had wilfully damaging it. The TUC has welcomed a new task force, charged with finding practical solutions to workplace sickness absence. DWP minister Lord McKenzie announced this new vocational rehabilitation task group to help ill or injured people stay in or return to work, and called on employers to do more to support their employees. New research has exploded the myth that British workers are quick to use illnesses caused by their work as an excuse to “throw a sickie”. In fact, says the TUC, the study shows that British workers are the least likely in Europe to complain about the effect of their work on their health. A council worker who was sacked by fax while on sick leave has received a reported £130,000 in compensation in an out-of-court settlement. Elizabeth McDonald had claimed disability discrimination and unfair dismissal against Walsall Council, but settled her case when the offer was made during tribunal proceedings. A worker who was fired after taking time off sick with work-related stress has seen an unfair dismissal ruling reversed at an Employment Appeal Tribunal (EAT). This overturned an earlier unfair dismissal ruling against the Royal Bank of Scotland (RBS). British Airways cabin crew have voted overwhelmingly in favour of strike action in protest at imposed management changes, including a work-while-sick rule to drive down sickness absence. TGWU deputy general secretary Jack Dromey, speaking after the strike vote in which over nine out of 10 workers backed action, said the outcome showed just how serious the situation has become. The cost of worker absenteeism to British industry could be as much as £13 billion less than other surveys suggest and could have “a net cost close to zero”, according to a new study. The authors say the cost is much lower than estimated by the Confederation of British Industry (CBI). The number of workers being issued with sick notes has increased recently, according to an insurance industry poll of GPs and human resources specialists. Doctors made it clear they blame employers for failing to take responsibility for their employees' health and wellbeing. The survey also found 40 per cent of companies had absolutely no system in place for health management and 70 per cent admitted they did not see employees' health as their responsibility. The Chartered Institute of Personal Development have published their annual absence management survey of more than 100,000 employers. This shows that, once again, the overall average level of absence has fallen but goes on to recycle the old lie that public sector absence is higher than private sector. consultation has been welcomed by the TUC and also by health campaigners. Australia’s bad bosses have taken full advantage after the government took an axe to basic employment protection. Workers have been denied access to union safety training, refused entry to inspect hazardous workplace or investigate accidents and have been threatened with fines for standing up against unsafe and unhealthy conditions - but now one employer had gone a step further and demanded his staff warn him at least 12 hours in advance if they are going to be sick. Public sector workers are no more likely to go sick than private sector workers in similarly sized firms, the Health and Safety Executive has found. But its research did find that some private sector employers, particularly smaller firms, were inclined to under-report true absence levels. Trade union safety reps are being sidelined on sickness absence issues, with the resulting policies frequently controlled by management and punitive, a survey has found. Working days lost through sickness absence are at their lowest level in 20 years, a new CBI report suggests. The business leaders' group said the figure fell last year by four million days to 164 million days. Firing or discriminating against sick workers can be a costly mistake for employers, a sequence of recent union-backed cases suggest. Council workers in Tower Hamlets, east London, walked out on a one day strike on Tuesday to protest what they believe to be a punitive new sickness absence procedure. The workers’ union, UNISON, says the changes in the council’s sickness policy were introduced without adequate consultation. The cost of sickness absence to the British economy is around £12 billion per year, the safety minister has said. Heroic Tube driver Darryl Lisles, who narrowly escaped the 7 July 2005 bombings in London and who led frantic passengers to safety during the failed 21 July attempts, has been told he has just 13 weeks to get back to his driving duties or face losing his job. The Health and Safety Executive’s (HSE) is urging manufacturing firms to take action on sickness absence and rehabilitation. Unions have urged companies to provide supportive sickness absence approaches combined with effective prevention and rehabilitation efforts - they have warned, however, that punitive sickness absence approaches to hound workers back to work are damaging and counterproductive. Tougher sanctions are planned against people claiming incapacity benefit who refuse to take jobs, work and pensions secretary John Hutton has said. Proposals for reforming the benefits are due to be unveiled this month. Nissan’s use of private detectives to snoop on workers taking sick leave has been condemned by a union. Amicus reps at the company’s Washington car plant were speaking out at an unfair dismissal tribunal in Newcastle brought on behalf of sacked paint shop team leader Brian Murphy. The government is to pay bonuses to civil servants who turn up for work rather than pulling a sickie, according to newspaper reports.Department for Work and Pensions (DWP) minister Lord Hunt said cash incentives are planned as part of attempts to tackle high levels of public sector absenteeism, reports the Telegraph. Unions have warned the government that welfare reforms flagged up this week must provide genuine support to help people into work and not be a “crackdown” on benefits claimants. Work and pensions secretary David Blunkett said he wanted to liberate benefits claimants from dependence, saying where people “reassociate with the world of work, suddenly they come alive again”. The government’s hopes to channel workers on incapacity benefits “from welfare to work” might hit a major barrier – employers don’t want to take them on. The latest quarterly Labour Market Outlook from the Chartered Institute of Personnel and Development (CIPD) reveals that more than 60 per cent of employers exclude groups with certain characteristics from the recruitment process. New disability rights will come into force from December this year and will protect millions of people in Britain from discrimination, the government has said. The new provisions will also extend the Disability Discrimination Act’s (DDA) protection to people with HIV, multiple sclerosis and all types of cancers, effectively from the point of diagnosis. Three senior managers at Virgin Cross Country Trains have been ordered by an employment tribunal to attend training in disability rights law. The company had already been found to be in breach of the Disability Discrimination Act (DDA) for failing to make reasonable adjustments to enable train driver Martyn Hazelhurst to return to light duties after an operation on his knee, which was injured in a train crash. The union GMB has called on management at parcels firm DHL to apologise publicly to the family of one of its employees who it says was “callously sacked for suspected malingering or unauthorised absence” when he was suffering from a disorder that caused him to become confused and which led to his death. Workers took fewer days off sick in the past year, a survey from the Chartered Institute of Personnel and Development (CIPD) suggests, with absenteeism now at its lowest level since 2000. The UK's long-hours culture is becoming endemic in the world of the white collar worker. More than half of the UK's white collar employees - equivalent to 8.7 million people - work in a culture where coming in early, staying late and battling on when ill is expected, according to research. Nursing ward staff take more sick days per year than most other public sector workers, according to new figures. A report from the Healthcare Commission, based on a survey of 135,000 staff on 6,000 hospital wards, found on average staff have 16.8 days sick leave in every 12 months. Health and safety minister Lord Hunt has urged managers to redouble their efforts to tackle workplace absence. The majority of UK firms are failing to provide support for workers suffering stress and strains, a survey has found. It also revealed that 4 in 10 employers (41 per cent) do not have an occupational health service. A cancer patient who lost her job after taking time off for treatment has been awarded more than £17,000 for unfair dismissal. Jocelyn Herath, 48, had worked as a deputy town council clerk for Newent Town Council before being diagnosed with breast cancer. A lollipop lady who survived stomach cancer has been ordered by bosses to explain her time off work at a disciplinary hearing. Mary Strang, 64, returned to the job she has held for almost 20 years five weeks ago after a two-year battle back to health. Claims by bosses’ organisation CBI that public sector sick leave is undermining services have been dismissed as ill-informed by unions and other bodies. Infact, Britain had one of the lowest levels of both long- and short-term sickness absence anywhere in Europe and studies show UK public sector workers take less sick leave than private sector workers. Britain: Are you just one illness away from the sack? Recent tribunal cases suggest a blot-free employment record might stand for nothing in some British workplaces, as employers choose to treat illness as a disciplinary issue. Cancer patients are unnecessarily losing out in the workplace as a result of a "culture of ignorance" among employers, a report by charity Cancer Bacup has said. Tomorrow's doctors can play a key role in offering sick and disabled workers a better future, work and pensions secretary Alan Johnson has said. 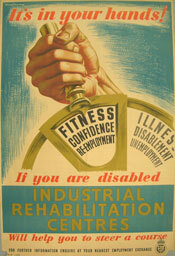 He said: "For many people a job can be an important step on the road to recovery and rehabilitation." The government has spelled out the radical back to work help it says will be extended to people who have been on incapacity benefit (IB) for up to three years. Work and pensions secretary Alan Johnson said the successful Pathways to Work pilots, which include more frequent mandatory interviews and which have previously focused solely on new claimants, will be extended to those who have been on the benefit for a long period of time. City council staff in Wolverhampton may strike over proposals to dock their sick pay for the first three days they are off work. Workers at the Honda factory in Swindon have protested about a policy to send home employees who can only perform restricted duties. Their union Amicus says many of the workers' GPs will not sign them off as unfit for work, which means they receive no sick pay and are subject to the firm's disciplinary process for unauthorised absence. The TUC has given a cautious welcome to the government's "sensible" incapacity benefit proposals, announced this week in the Department of Work and Pensions' five year plan. The government is set to cut incapacity benefit in a move aimed at getting claimants back into work. The prime minister wants to cut the £7 billion a year welfare budget and put pressure on claimants to find employment. Employers who fire workers on health grounds are being hit by large penalties at employment tribunals. A university researcher who was fired while having treatment for breast cancer is challenging the move at an employment tribunal. US companies realising that it only takes one employee coming to work sick to spark a workplace disease outbreak and set off waves of absenteeism down the line. Experts say "the idea of the 'hero-worker' that manages to punch in for a full day's work despite illness needs to be discouraged." Men who never take a sick day even though they are not in good health may be setting themselves up for a heart attack, according to a new study. Dr Mika Kivimäki and colleagues used a study of 5,000 British male civil servants aged 35 to 55 to examine the relationship between sickness absence, "presenteeism" - working while ill - and the rate of serious coronary events, including fatal and non-fatal heart attacks. Most employers say they take measures to help sick workers reintegrate to the workplace, according to a new report published by DWP. Almost all employers interviewed allowed employees to return to work on reduced hours to ease their return, gradually building up the number of hours worked over time. The lack of paid sick leave in the US will compound the risk of getting the flu this winter, at a time when even at-risk individuals cannot obtain flu shots because of a massive shortage of the vaccine, according to the National Partnership for Women and Families. A drive to help people who become ill to stay in their jobs and to prevent them leaving the workforce prematurely has been announced by the government. The government is urging doctors to encourage people to stay in or get back to work when they suffer sickness or injury. Work and pensions secretary Alan Johnson said: "For people who are able to work again, a job can itself be an important step in the road to recovery and rehabilitation." Contrary to claims from bosses' organisation CBI, UK workers are not malingerers - in fact they are among the work horses of Europe. A major new study in the journal Occupational and Environmental Medicine shows they are much less likely to take a sickie than workers in the UK's major European Union competitors. The chance of a free car or holiday voucher just for turning in for work sounds like a great idea. But there is no such thing as a free car, says the Communication Workers' Union. Government research into ways to shift the responsibility for issuing sicknotes from GPs to other healthcare professionals is nearing completion. Jane Kennedy, minister of state for work, conceded that there would be a big training agenda involving line managers, employers and unions if that approach was to be adopted. The government has published its ideas on vocational rehabilitation. A Department for Work and Pensions discussion paper "aims to help people overcome health or disability-related barriers they may face in returning to work." TUC is telling employers that the best way to reduce the number of days sick leave is to stop making us sick through bad jobs and overwork. It adds that firms should introduce effective back to work schemes. Shopworkers' union Usdaw is keeping a wary eye on a pilot scheme by supermarket chain Tesco aimed at cutting sick days. The company is considering plans where workers would get extra holiday or benefits if they did not take days off and of only giving sick pay if people are off for more than three days and provide a doctor's note. Encouraging workers to leave their sick beds and struggle in to work is a costly mistake, according to a study. Workers who come in sick can cost their employers more through "presenteeism" that through absenteeism, say researchers from Cornell University in the USA. Australian teachers are going to work ill because it is too much trouble to take the day off, principals and a teachers' union say. A warning to bosses: Too much supervision can make your workers sick. Workers who are micro-managed or do not get on well with supervisors are more likely to take sick leave, according to a study.